Sewing Squares | Live. Learn. Love. Eat. 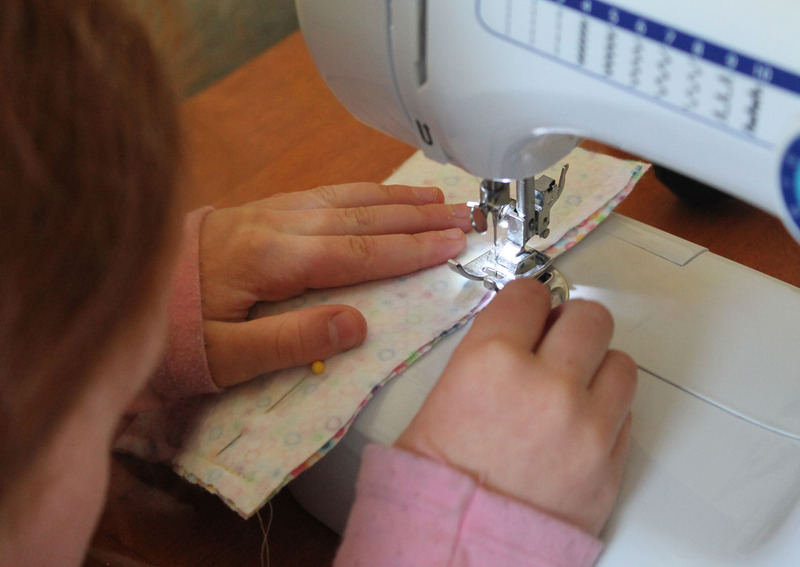 Yesterday my mom came over to teach us girls about sewing. It was actually the first time that I set up my sewing machine since I got it for a gift at my bridal shower nearly 5 years ago (has it really been that long?). Autumn was especially eager to learn. 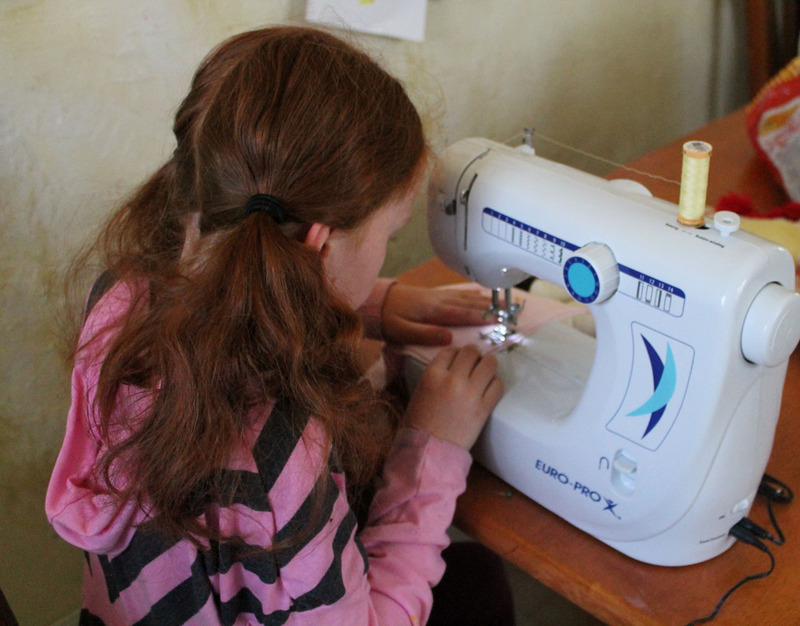 She has been dreaming of sewing her own dolls and making doll clothes for her dolls as well. 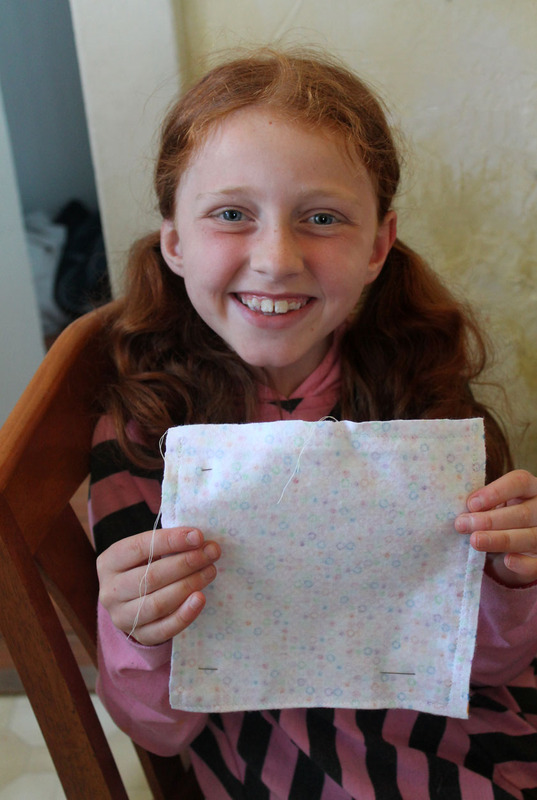 She was literally counting down the days until grandma would come over and teach us to sew. 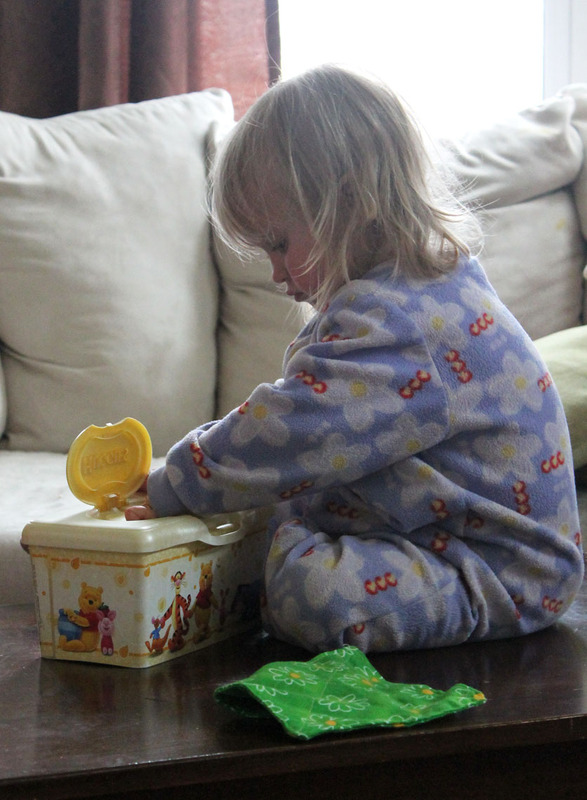 It was a sweet moment to watch her learn. I hope that sewing could become a hobby for her. Now that we know some basics, I am hoping that her and I can learn more together. 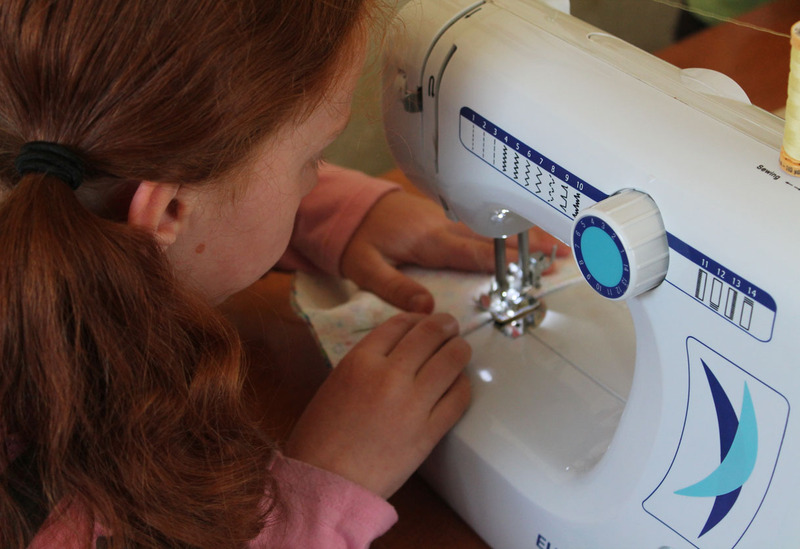 I think that doing things like sewing, cooking and baking are great for young girls to know how to do and something that I especially want my daughters to learn. 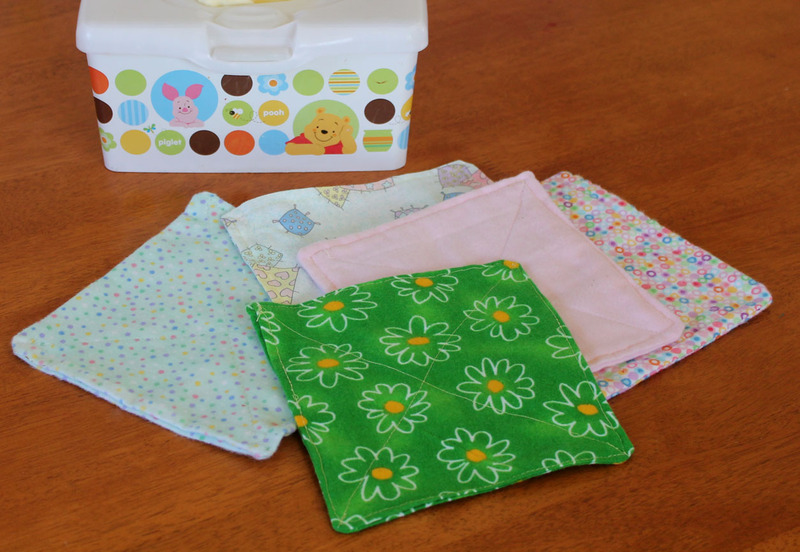 We started with something simple, sewing squares. 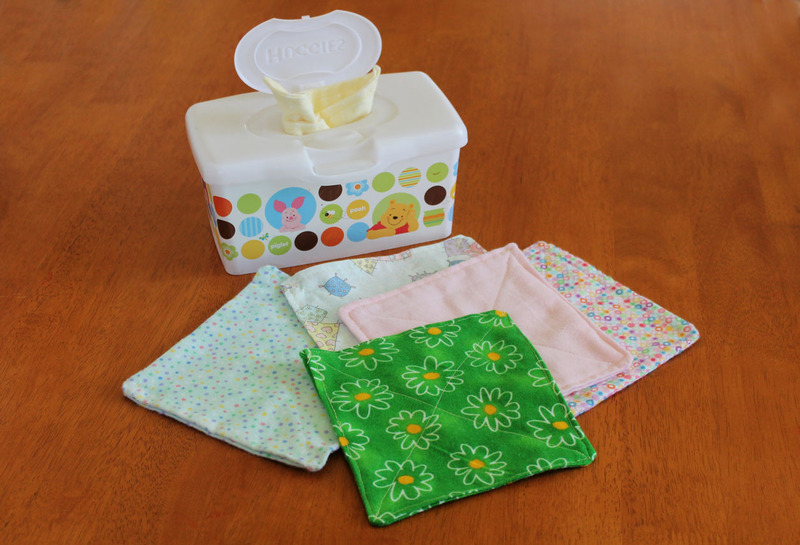 I had seen this craft on pinterest for making squares of fabric and stuffing them into a wipe container for babies and toddlers to play with. I thought that would be great for Serafina! And Serafina loved it too! Loving living life and making sweet memories with my girls! Yay for sewing. The little man and I did a little sewing this afternoon, he loves it! Have a wonderful weekend and Happy Mother’s Day! What fun, and that is a nice machine! I hope to have a sewing machine one day. I used my mom’s a few times while I was growing up, and we sewed a quilt together for me to take to college, that was a special project. Mostly I did hand sewing, though, starting when I was about 8 years old. I sewed a lot of clothes for my Barbies! Autumn looks like she really loves it, I bet she’s going to come up with all sorts of great projects! Thanks! 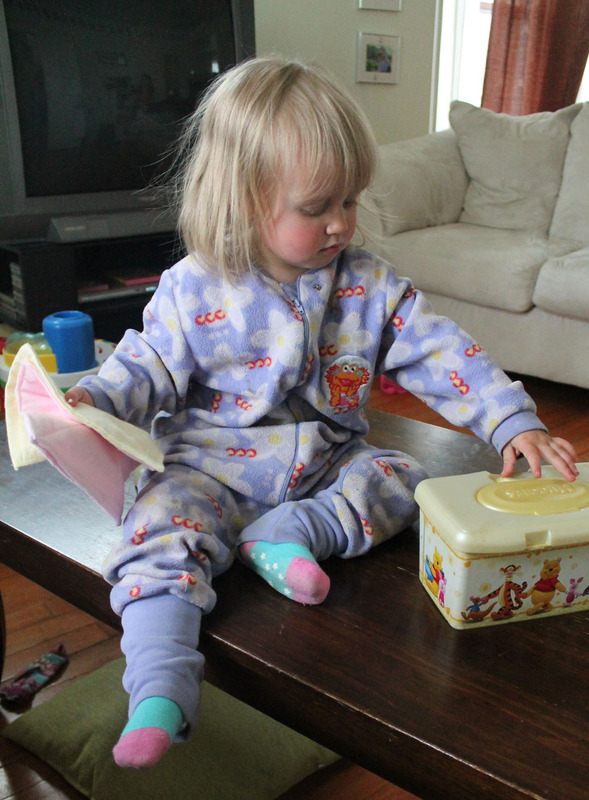 Yea, she wants to make all kinds of things, especially doll clothes. I would love to make each girl a quilt someday. Maybe for Christmas this year.